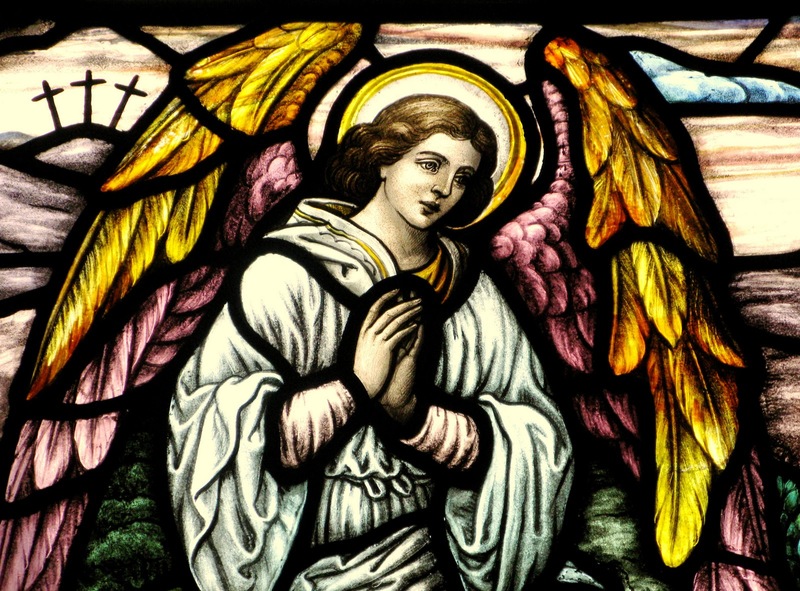 “Angels in America”, a recent cover story of the popular US magazine People, describes how the lives of several individuals were changed by what they consider divine intervention. Six-year-old Hilary Russell of Miami Beach, Florida, was caught in a rip-tide on a blustery winter day in 1978. Her parents thought for certain she was going to drown, but her father, Richard, suddenly noticed a dark-haired man of about 30 standing near Hilary. The stranger “just plucked her out of the water and held her in his arms,” Richard says. Hilary recalls that the man was tanned, “and the hair on his arms was dark, and it glistened, even though it was cloudy out.” Hilary’s mother was astonished by the “effortless” way the man strode through the waves, which reached only to his chest although he seemed to be in deeper. Back on shore, the man put Hilary in Susan’s arms. Susan thanked the man. “I remember him saying, ‘That’s okay,’ and he was smiling,” Richard says. With Hilary safe, Richard and Susan embraced — but when they looked back, the man was gone. In 1984 Barbara Kahn-Langer of Scotts Valley, California, was scheduled for brain surgery to implant a radioactive seed in an otherwise untreatable tumour. As she waited on a hospital-trolley outside the operating room, she remembered an experience she had three months before, following exploratory surgery that confirmed the malignancy. When she had regained consciousness, “my entire vision was full of this huge, golden being,” she says. “I was being held in the arms of this being. I was swathed head to foot, like a baby, in a golden cloth.” Kahn-Langer never had the second operation. Her astonished doctor arrived with the CAT scan and told her: “Barbara, you cheated me out of $4,000 — the tumour is gone!” Since then, she says she has had the ability to see angels. Kahn-Langer’s partner David Sandler has his own miraculous story to tell. In 1974, he was diagnosed with lymphoma and given three years to live. By 1977, he lay in the hospital, close to death. But then Sandler heard a loud voice singing a Hebrew song he’d known as a child: “Hear O Israel, the Lord my God, the Lord is One.” At that moment, he says, “I moved out of my body up to the ceiling. I felt that love I had for God when I was a child. The word ecstasy comes to mind — I was as happy as I could be. Then I started sinking back, and it was a shock — the body I left is not the one I came back to.” Later, tests proved that Sandler’s body was cancer-free. When a powerful storm hit the 53-foot yacht that Donna Terody and her husband, Peter, were sailing from Palm Beach, Florida, to the Bahamas in July 1992, she was sure she was going to die. In fact, Terody wanted to die. She had suffered from painful kidney problems since the age of four, and had become virtually bedridden. During the storm, she prayed: “God, just make it quick and painless.” But then she felt a pull upward: “There was a brilliant white light,” she said. “Entering it, I was overwhelmed with a feeling of peace and tranquillity. Several angels emerged and floated toward me, filling me with their healing light.” Terody felt herself falling back toward her body. “I’m dead,” she thought. But a voice told her, “You still have work to do. You have to go back.” When Terody woke up, she was facing a gigantic angel. “I begged him, ‘Please take me back. '” He vanished but left her with a profound sense of well-being. “The angels healed me. They sent me back to paint angels.” Since then, she has been creating pastel images which she says are designed to comfort others, and help people have their own angelic encounters. 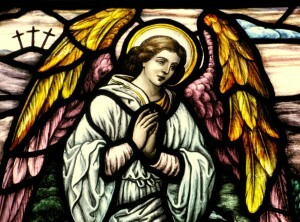 This entry was posted in Angels and tagged angels, Apparitions, stories, visions. Bookmark the permalink.